Today is a dream come true. I've been dying to feature a shoe on #TwinTuesday, and today is finally the day. 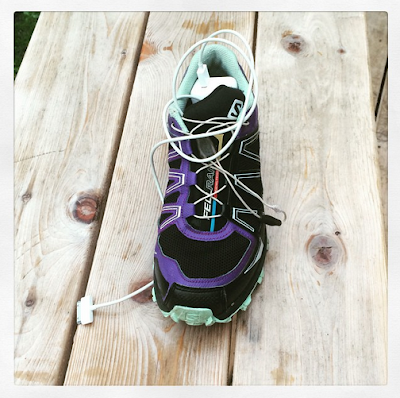 Shoe and CHARGER, as it turns out. I like how the charger looks a bit like the laces. I especially like how Lee's charger is dropping in from outer space. Basically, I'm thrilled with this pairing. Wowza. This pairing instilled within me great cheer.